Time to sell your Laguna Sands condo? Read about today's resort-market condo buyer. 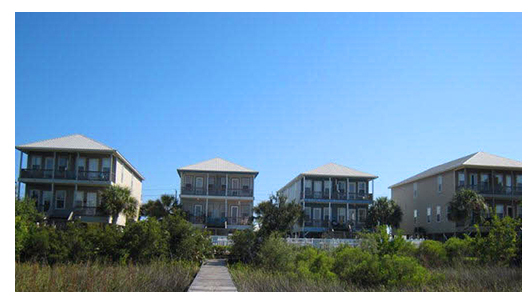 Laguna Sands is a lagoon-front development of 4 condo duplexes in the West Beach area of Gulf Shores. These residences provide stunning views of Little Lagoon and feature a community pool, fishing pier, and BBQ area for residents and guests. It is a short walk over to the beach with a public access a half-mile away from the property. End your day fishing for speckled trout or watch the beautiful sunset from either your private balcony or on the community pier. Please let us know if you would like further info for Laguna Sands or any other condos, homes or real estate along the Gulf Coast or would like to schedule a private viewing by emailing info@condoinvestment.com or by calling (251) Area-Pro (251-273-2776) for immediate assistance.